African Americans have been making history left and right in Hollywood. Sterling K. Brown is just one of many actors who are grabbing the reigns of being first, and he’s not the only one. 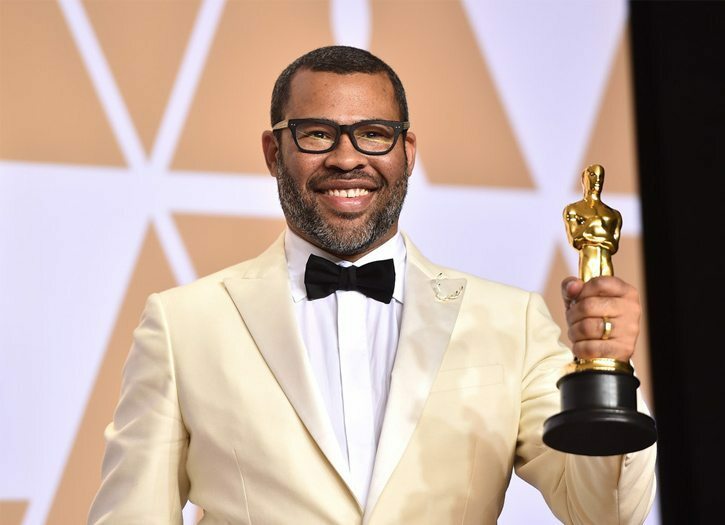 On Sunday, Jordan Peele became the first African American screenwriter to win an Oscar for Best Original Screenplay in the 90-years the prestigious awards show has been airing. Presenter Nicole Kidman, along with the audience were ecstatic the moment his name was announced. The director/screenwriter was nominated for his controversial movie, Get Out that was released in 2017. Peele was nominated alongside of Emily Gordon and Kumail Nanjiani (The Big Sick), Great Gerwing (Lady Bird), Guillermo Del Toro and Vanessa Taylor (The Shape of Water), and Martin McDonagh (Three Billboards Outside Ebbing, Missouri). In addition to his Best Director nomination, Get Out’s leading actor, Daniel Kalluya was also nominated for Best Lead Actor. The movie also received a nomination for Best Picture. Upon receiving his award, Peele tweeted, “I just won an Oscar. WTF?! ?” Many celebrities like Oprah and fellow director, Ava Duvernay tweeted their congrats to the director. We can’t we’re surprised by his reaction since he is the third person to be nominated for his directing, writing, and producing of this film. Only 12 people of color were nominated at the Oscars this year, and while that is an improvement, its far from where it should be since the awards ceremony is creeping upon its century anniversary. In 2017, Moonlight won for Best Picture, after the presenter mistakenly announced the film, La La Land as the winner. Even though we are leaps and bounds from dominating the awards categories, we are glad to see Hollywood is making some effort to acknowledge people of color, and their contributions to original films that elevate Black voices and performances, and the black actors & actresses, who are breaking barriers and making history. We will always be rooting for everybody black! Check out Peele’s acceptance speech below. READ: STERLING BROWN DOES IT AGAIN….ONE TIME FOR THE CULTURE!